Let's visit PEI together, shall we? I finally had a chance to sit down and write up some posts (repleate with pictures!) 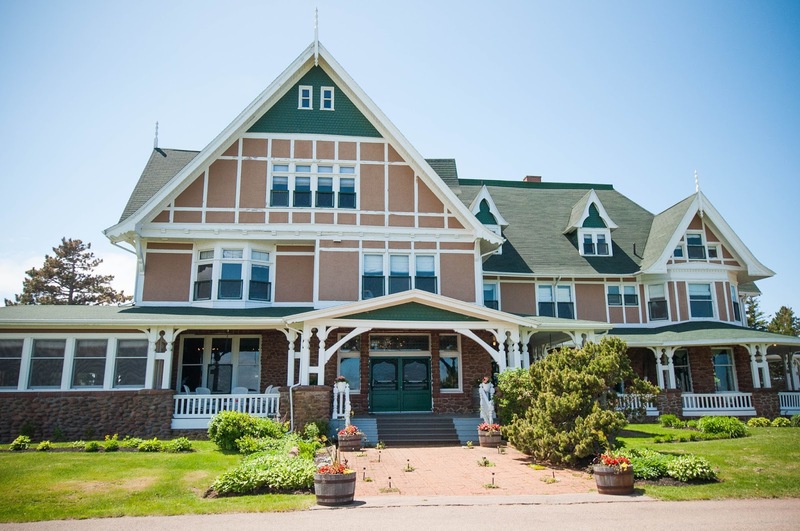 from our trip to Prince Edward Island and Anne's Land. Next week will be all about PEI and the special places related to Montgomery. 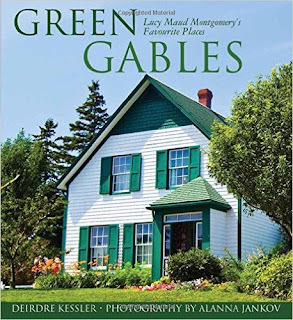 If you don't like Lucy Maud Montgomery (shame!) then you'll want to come back the week after when we'll return to our regular random programming. I have to preface this photographic journey by first telling you about Green Gables: Lucy Maud Montgomery's Favourite Places , as it gives a good introduction to some of the places you can visit on the Island. I stumbled across this title on Amazon last year and stuck it on my Amazon wishlist. Jonathan surprised me with a copy the morning we left on our trip so that I could read it on the plane. I didn't actually get around to reading it until the return flight home, but no worries; it was still just as good. We made it to all of these places and a couple more on our trip which I'll share about in the coming week. Personally I thought Kessler gave a great overview of each place along with a nice, succinct history. Since I read the book at the conclusion of our visit, there wasn't much she shared in the book that I hadn't already learned by touring around myself which I mean to be a great compliment. The book means to be something of a tour guide for the Montgomery fan and, in my opinion, it operates very well in that capacity. She shares information as if she is walking you through the houses and across the property which is just about perfect and why I say that if you can't get to the Island yourself, this book could very well be the next best thing. It's a good resource and fun to look through. My one and only complaint about it is the front cover. If you look closely you'll find the hilarious effort put in to photoshopping out some tourists. Now, we well know the issue of trying to get a good picture of Green Gables which is pretty much surrounded by tourist at all times. It can, however, be done! It is clear in flipping through this book that Kessler had access to some of these houses and rooms at a time when they were closed to the public which raises the question in my mind over why she didn't photograph Green Gables in peace and quiet. For a front cover a book, that's a pretty bad photograph. Again though, we have sympathy for the problem of cutting other tourists out of your image. It can sometimes require a great deal of patience! Note that I'm in no way attempting to detract from the book by mentioning this. This is not an issue that is likely to bug many other people and it doesn't prevent me from recommending the book. I just can't not notice it every time I look at it though. In this series of posts about our visit to the Island, we'll share our own pictures so if you're interested, stick around. Come Monday morning we'll visit Green Gables. But first! Where did we stay while on the Island? We started out at Dalvay-by-the-Sea (aka The White Sands Hotel) for the first couple of days of our journey. You can see photos of the inside of this historic and famous hotel (you might be surprised) and read of our experience at Dalvay over at Teafirst.com. Oh my goodness, I am excited for you but so jealous for me! PEI is on my bucket list of places to go. Sounds like a good virtual tour! I must not have eyes as good as yours or be as familiar with Photoshop - I can't see where people were photoshopped out of the picture except that it almost looks like there is someone in the doorway. I had to go to Amazon to see the cover bigger. I have put this on my wishlist. It may be the closest I get other than your blog. Oh! This whets my appetite! Another book on my wishlist, and another place to visit on my bucket list! I am simply heartbroken that my library doesn't have a copy of this. Also that I can't travel to PEI just now.